Julie's Stamping Spot -- Stampin' Up! 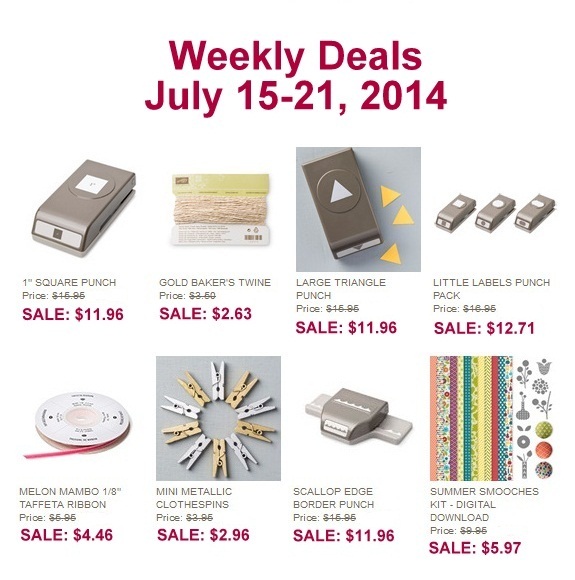 Project Ideas by Julie Davison: Weekly Deals for July 15-21: Punches!! It's time for new Weekly Deals! Make sure to check them out before they end next Monday, July 21st!